Good news for all owners of Sony Xperia M2, the version 4.4 of Android KitKat is now ready to be updated on your phone. According with our source, this update is now available in many countries like France, Ireland, Israel, Russia, Singapore, and Thailand. If you are connected with any telecom operators from these countries you can make this updated now or very soon. 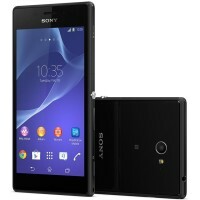 Android 4.4 for Sont Xperia M2 is available only for D2303 LTE model. After you made this update, you must see the version 18.3.C.0.37 of Android 4.2.2.